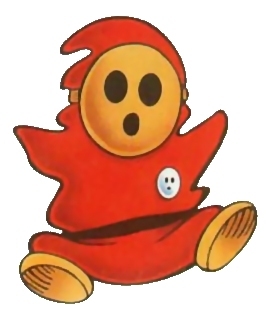 I am a shy guy… Really. If you know me, you would probably say that I am the type of person who can go up to anyone and strike up a conversation within seconds without the slightest reservation or hesitation. This may be true, but what a lot of people may not realize is the fact that I am indeed a shy person. I hear just about everyone who I’ve met within the past two years saying, “I don’t believe that for a second!” but, the fact of the matter is, I have always been extremely shy ever since I can remember. I enjoy talking with and meeting new people, especially if they have the capacity to geek, but it takes a lot of will power for me to go up to someone and chat with them. One thing that helps is being at an event and finding (quite by chance) myself standing next to a girl dressed as a cat who just got done tea dueling and finding ourselves talking about the subtleties of a newly discovered competitive sport known as Tea Dueling. And that is how I met one of my good friends a few years ago! It has taken me years to get over the majority of my shyness. Going to conventions within the past few years has helped a lot, and finding awesome people who do not judge you for what you like, how you do cosplay, or how much of a fool you make of yourself when you’ve had one too many samples of other con-goer’s flasks has helped even more. When I go to a convention now, I am finding it easier to talk to people who I do not know. And on a few occasions, I am introduced to people as “The Uncommon Geek!” And that is always a good conversation piece! But, with all of the advancements I have made with pushing past this social barrier, one thing that I enjoy doing has proven to be another hurdle on my road to doing what I enjoy… Podcasting. A lot of people listen to our humble podcast, and for that, I thank you. But, what I try my hardest to do is to not be shy when getting ready to hit the record button. On the way to meet our guests, I get giggly and nervous. Not because I’m overly excited, though that is the case sometimes, but it’s because I’m extremely nervous and trying to not shy away and calling the whole session off because I can’t get past my shyness. Thankfully, that has yet to happen, but it is something I am working hard to overcome. And once the recording starts, and I ask “The Question,” then I relax and let the podcast happen. And that is one of the two reasons why I ask the same question to new guests, whether they like Star Trek, Star Wars, or both and why. Because no matter the answer, I always find the common ground. It becomes the Tea Dueling all over again… minus the cat girl. If you are an extremely shy individual who is afraid of mingling at parties or conventions, or suffer from any other form of social anxiety like I do, I am here to tell you that it can and does get easier and you do not suffer alone. And, that potentially awesome person in the corner opposite from you sipping the root beer while wearing the DS9 shirt that you wish you could talk to and explain to him that Sisko at the end of season 7 becomes his own mother, probably suffers from being shy as well and wants to ask you about your “Han Shot First” shirt and explain that your shirt, in fact, implies that Greedo actually got a shot off and that in the original 1977 theatrical cut, Greedo, in fact, never shot. All it takes is a moments worth of courage to make a friend for life. Or you can compete in Tea Dueling in the 2015 Steampunk Empire Symposium… that works too.